The goal was to create a storage and transportation system for tools and materials on varying sizes of construction sites. 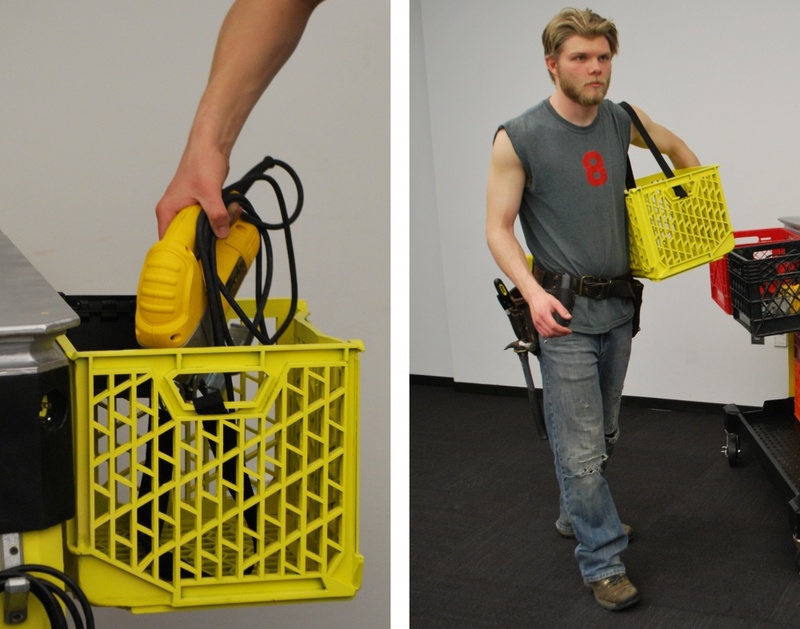 In research I noticed the extensive use of milk crates and generic rolling carts rather than the boxes designed specifically for tools. These observations became a starting point for a system that does not require radical change from construction professionals. 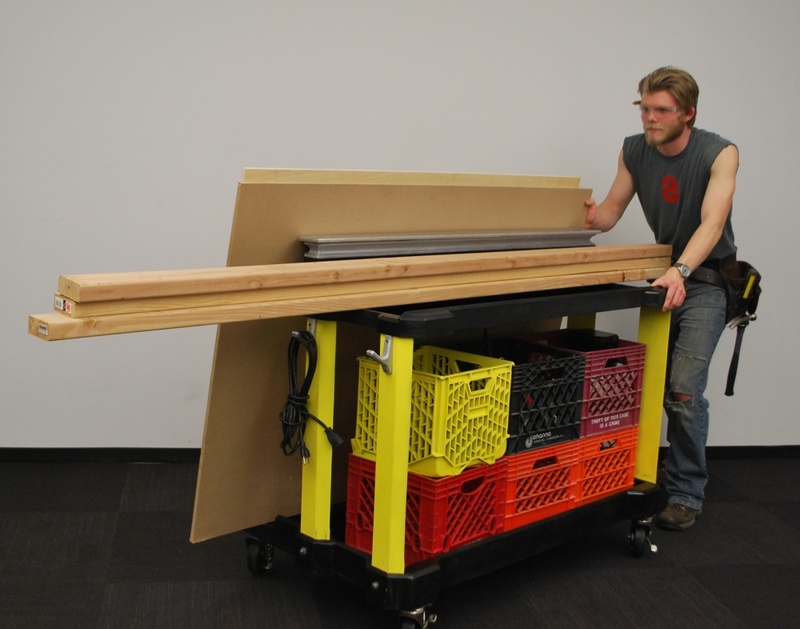 The system consists of a rolling cart, a crate with more comfortable handles, and a fasteners cup with hinged lid. 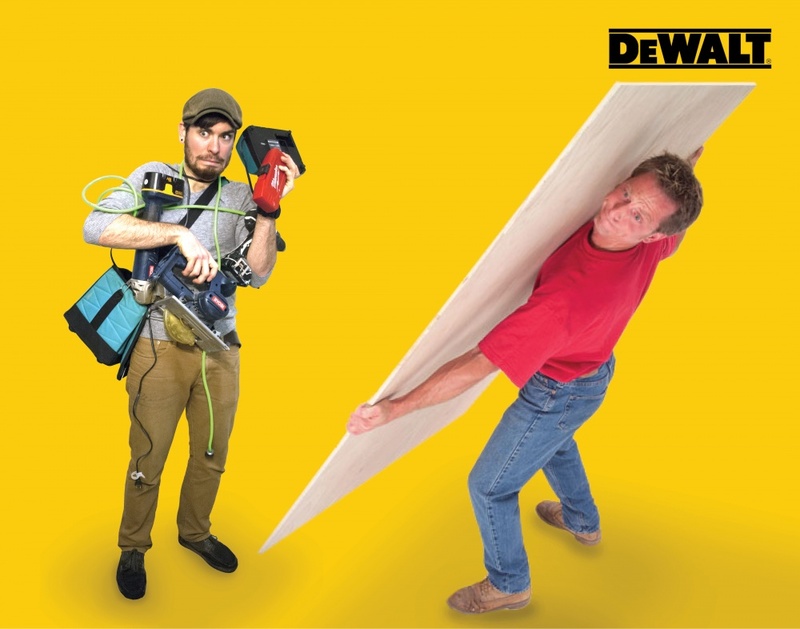 In order to be successful the system had to easily transport both tools and materials for the construction industry. Lumber and sheet goods can be carried simultaneously. 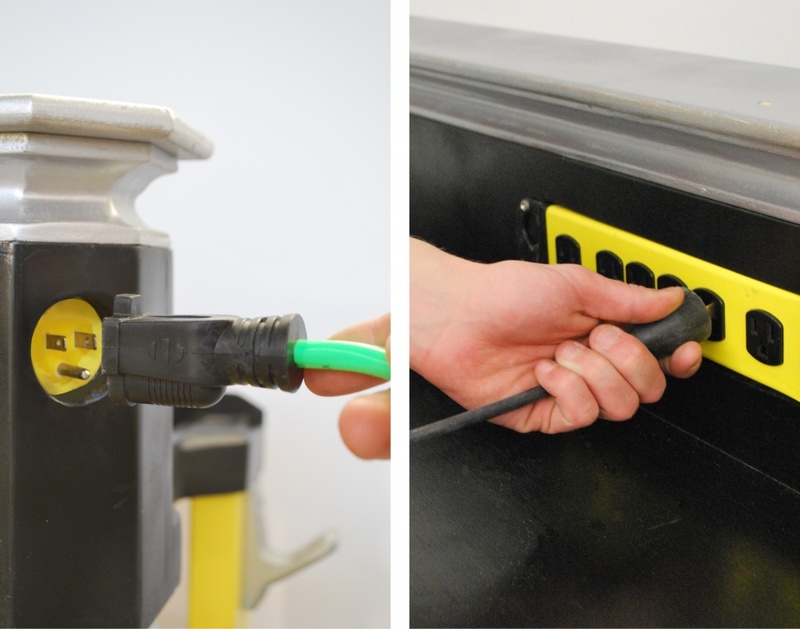 An integrated power strip accepts any length extension cord. 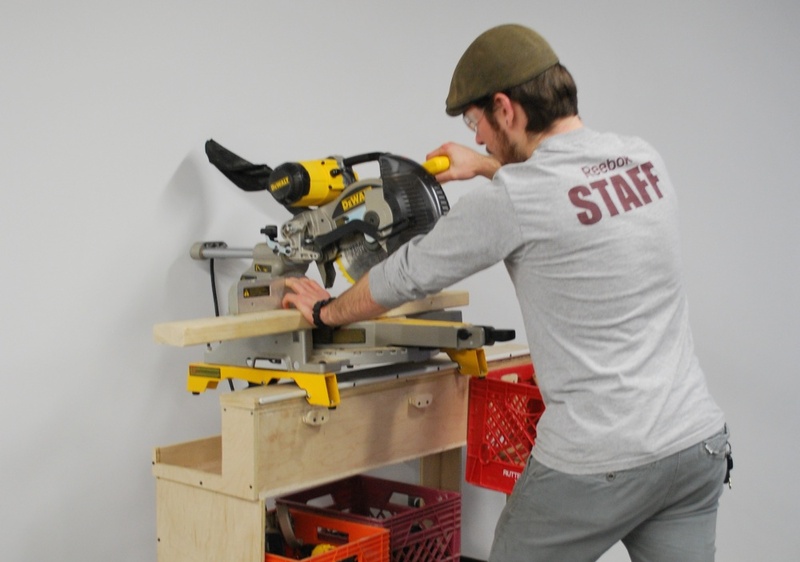 The rail along the top of the cart fits the mounting brackets of a Dewalt miter saw for transportation and use. 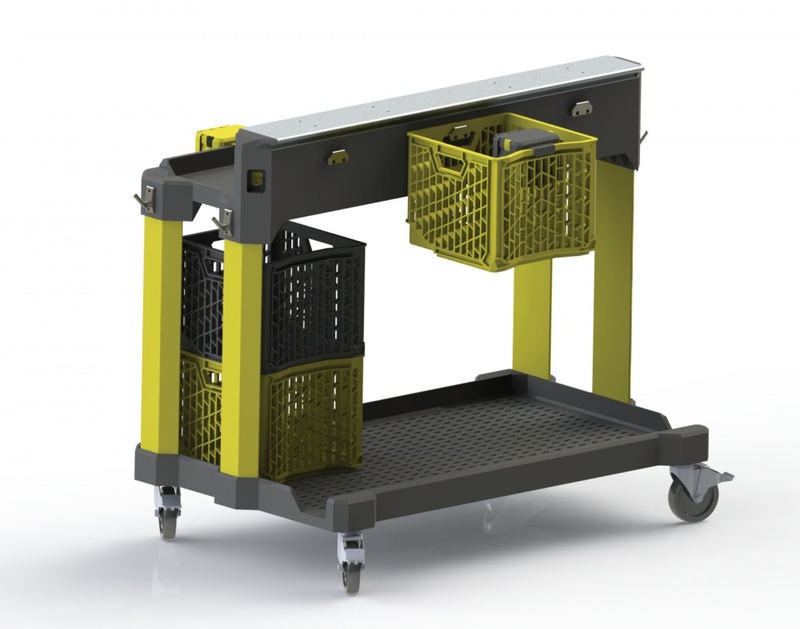 Crates can be hung on the top rail of the cart for easy tool access or carried with an integrated strap and handles. 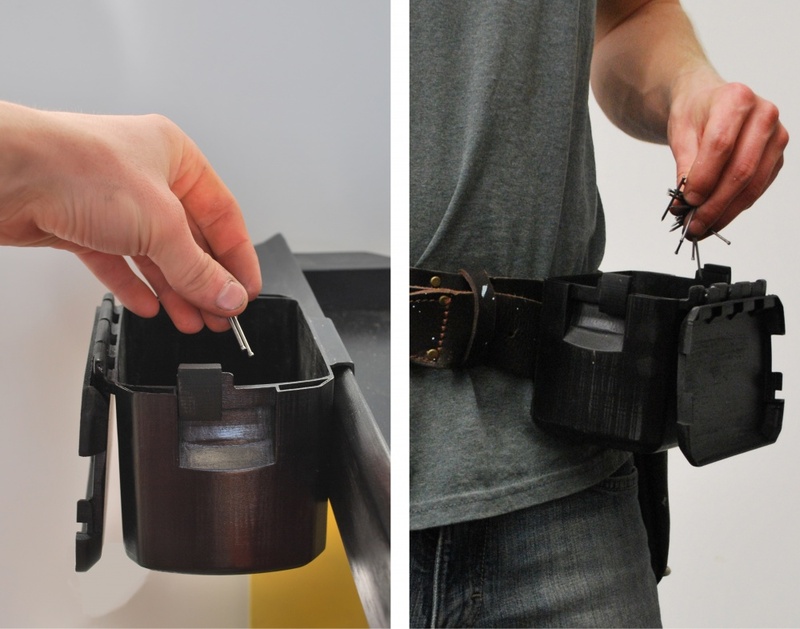 The faster cup attaches on the side of the cart, inside a crate or on a tool belt for easy access. The lid can be locked open or closed.